Welcome to ZombieRox.Com This site was established in 2010 to revive mineral specimens that have entered the land of the lost. Sometimes, after a large update, some minerals are reserved and sent out on approval. Then, sometimes, they are returned. When this happens they go back into the pool of available specimens but they seem to be dead to the world though they are still very much alive. Also, some specimens are posted to the various websites I manage and they seem to die on the vine because I either paid too much for them to begin with, took lousy pictures of them or priced them at a level that everyone else in the world thinks is ridiculous. Watching a mineral specimen die on a website is not a good thing. So, my wife, Colleen, came up with a great idea! I have tried to zap a little life back into these dead rocks and this will hopefully aid them in their struggle to find a new home among the living. 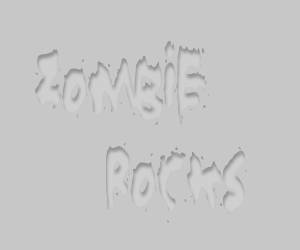 All Zombie rocks from this site will be offered at a discount level between 20% and 50% off depending on how they got to this wretched existence. Click any button below to see these rocks that deserve a second chance. Please help these rocks in their struggle to come back to life. Otherwise they will end up as Cemetary Rocks... And, no! I did not adjust the prices up before listing these.